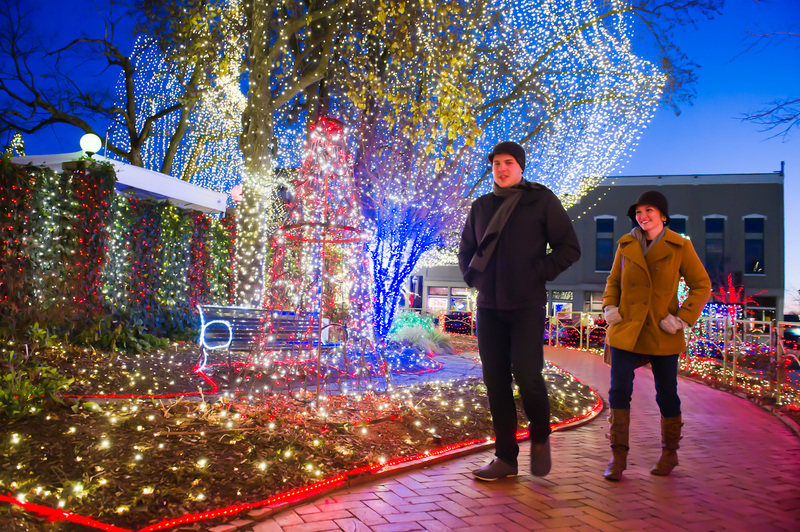 Experience the winter season in the Ozarks, with traditional and delightful holiday events that fill the air with anticipation and excitement. Whether you’re home for the holidays or are traveling, the Ozarks invites you to join the seasonal festivities and spread holiday cheer. Immerse yourself in thousands of glittering light displays by horse-drawn carriage with your family and friends to celebrate the holiday season. 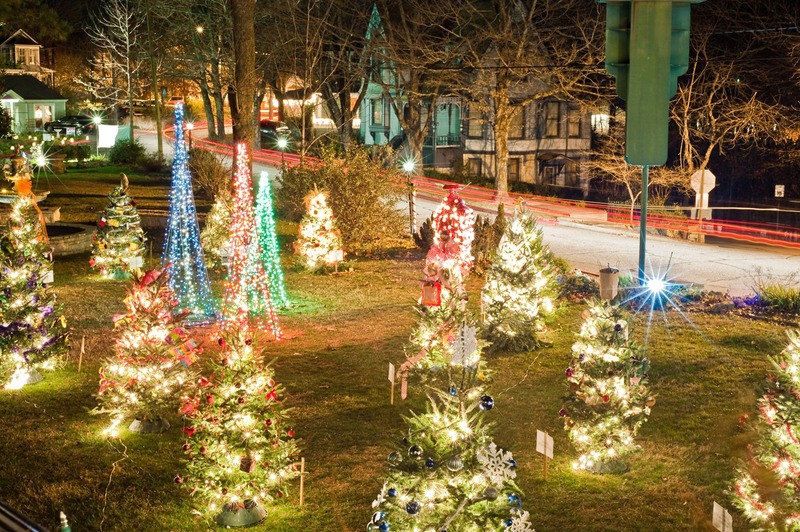 Afterwards, explore the Christmas Village (Thursday – Sunday nights) and experience the beautifully-decorated 6,000 square foot Christmas marquee filled with sweet holiday aromas; sounds of Christmas; The North Pole Express Train ride; “Selfies with Santa”; crafts; Holiday Treats and flavors and so much more! 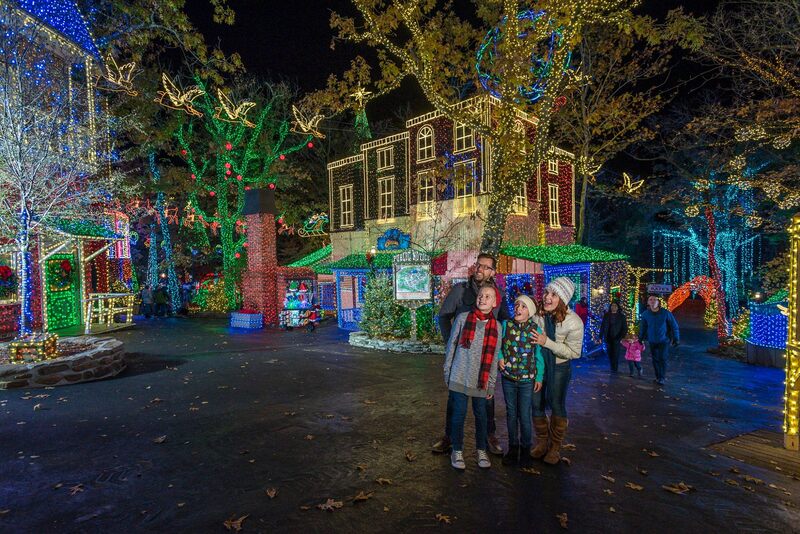 Over 12 ways to create a memory of a lifetime at the Ozark Mountain Christmas Lights & Village! Tour includes tuning into a Christmas music station to feel the sounds of Christmas while driving by the displays. Springfield Ballet is celebrating its 40th anniversary by introducing a brand new design, directed by Roger LaVoie. Immerse yourself in the magic and the excitement as this year’s production features a new set–unveiled for the first time! You and your family will be awed and inspired by the breathtaking new details that will heighten the beloved story of Clara and her Nutcracker Prince. Follow along as they dash from an extravagant Christmas party to a fierce battle with the evil Mouse Queen, then on a magical journey through the Land of Snow and Kingdom of Sweets. Celebrate this holiday tradition with Springfield Ballet and the ones you love! During Nov. and Dec. step back in time as the Hughes Brothers -Marty, Jason, Ryan, Adam & Andy- and their families create a Christmas wonderland filled with the season’s best vocal harmonies, exciting dances, inspiring instrumentals, and of course, the charm that everyone loves about these five multi-talented brothers. The show is filled with festive surprises, extraordinary performances, and treasured family traditions. You’ll see Santa in a new light when he explains the symbols of Christmas in the most moving Christmas presentation you’ve ever witnessed. It’s a triumph of everything you want to feel at Christmas time! C-Street Lights Up the Holidays! Recurring daily now through Dec 25, 2016. 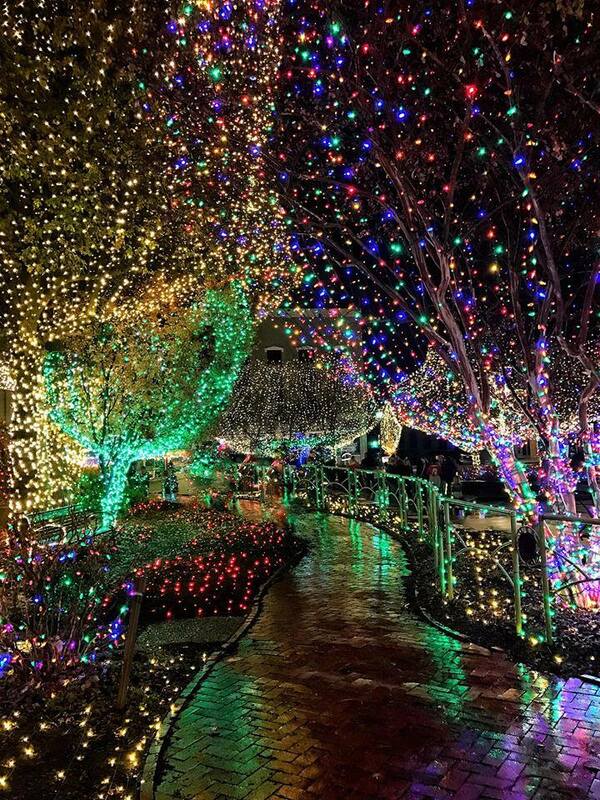 Explore a winter wonderland of over 10,000 twinkling lights and displays this holiday at Rutledge-Wilson Farm Park! Recurring daily now through Dec 31, 2016. 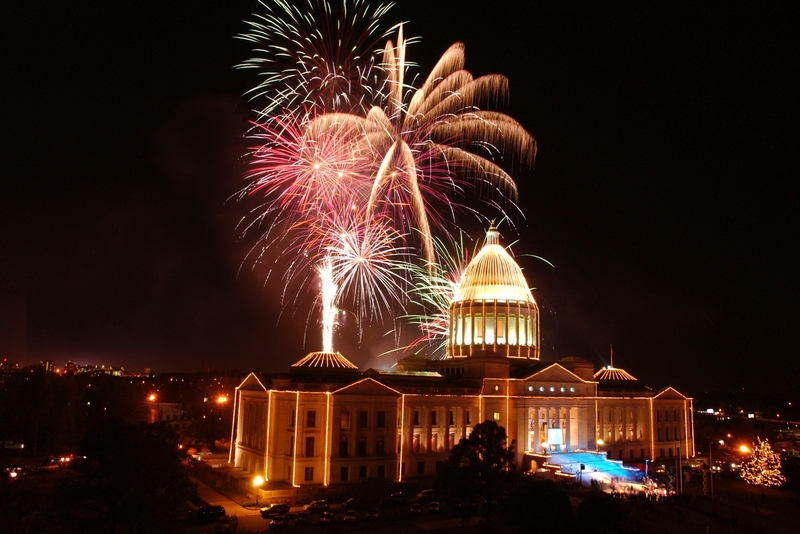 Join this ongoing celebration of the winter holidays featuring fireworks, free ice skating, light displays, and more! Combination of Live and DJ’ed entertainment featuring the Bel Airs! Midnight revelry, complimentary champagne, countdown to midnight ends with our signature ballroom drop, where the balloons hold over $1,000 in cash and prizes! Recurring daily beginning Dec 14, 2016 through Dec 28, 2016. Winter Solstice Mystery: The Sun’s Alignment With An Ancient Petroglyph Inside Smallin Civil War Cave 300 feet inside of the shadowy 10-story wide arched entrance of Smallin Civil War Cave, lies a mystery. Carved on the side of a huge flowstone formation named “The Indian Ladder”, a strange petroglyph could be a silent legacy left by ancient Native American astronomers. During the shortest days of the year (December 14th through December 28th), a remarkable phenomenon occurs at the entrance of Smallin Cave. Due to the winter tilt of the Earth and the south-facing position of the massive entrance of the cave, the rays of winter sunshine stream far back into Smallin’s depths. Reflecting on the floor and the walls of the cave, the morning rays of sunlight shine across the sun-shaped petroglyph (sometimes known as a “sun-glyph”), and cause the cave to take on a remarkable glow at around 10:00 A.M.
On sunny mornings during this Solstice period, between December 14th & December 28th (with the exceptions of Dec. 18th & Dec. 25th) the Solstice effect is on full display….come for the “Solstice Tour” at 10:00 A.M. and be amazed! 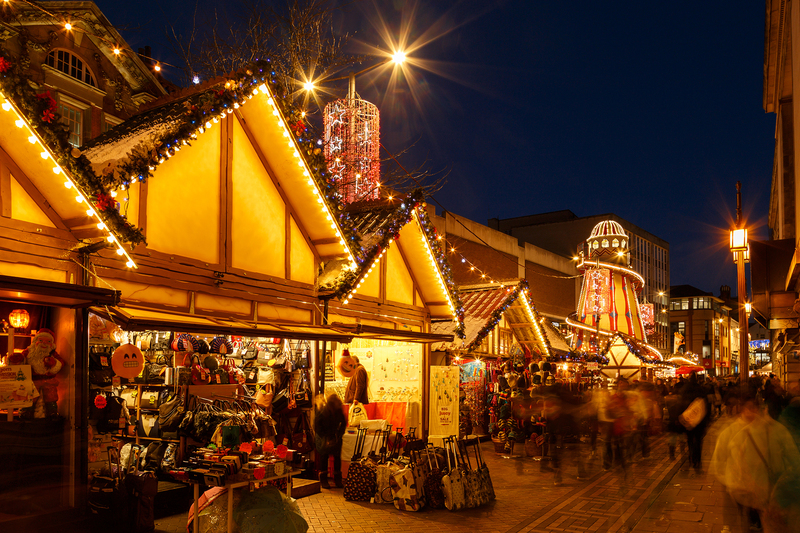 Enjoy the amazing winter wonderland of lights on the Downtown Square. 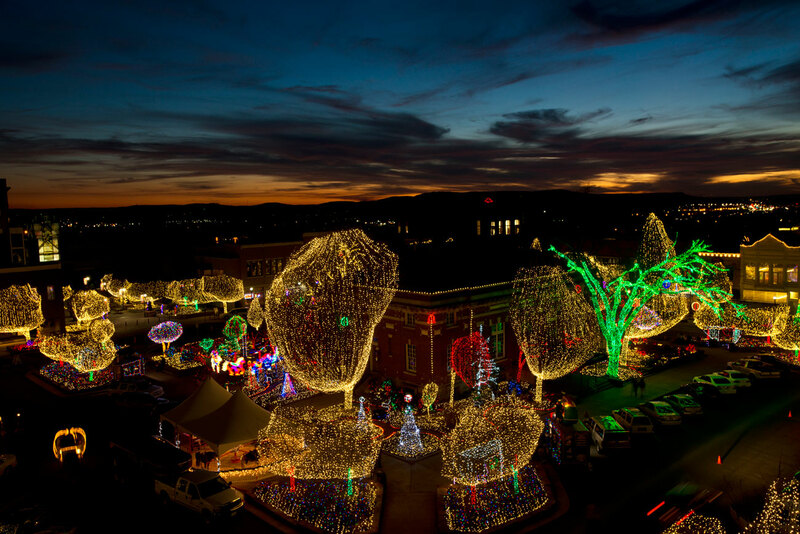 The lights illuminate the square each evening from 5 p.m. to 1 a.m. Nightly carriages and pony rides, fresh hot chocolate, and festive holiday music make the Lights of the Ozarks an event that cannot be missed. 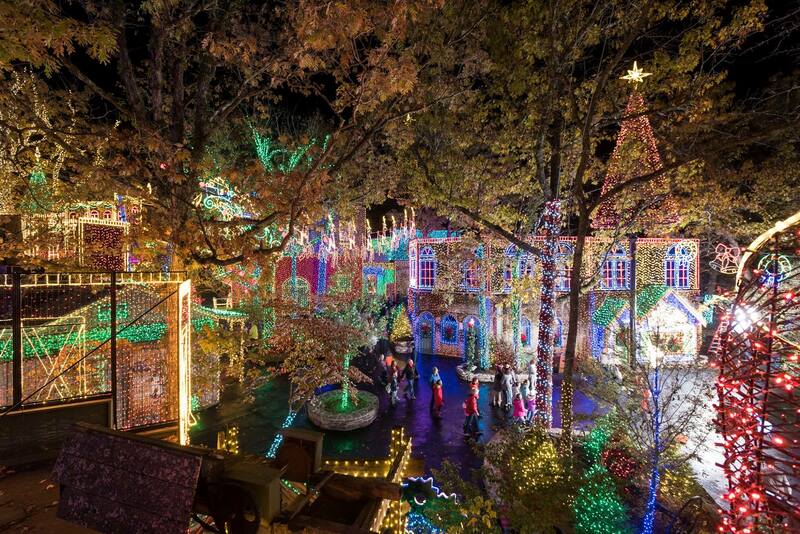 The romantic and breathtaking display of a half-million twinkling lights is cherished by the locals and visitors alike that stroll or drive through the Lights of the Ozarks each year. 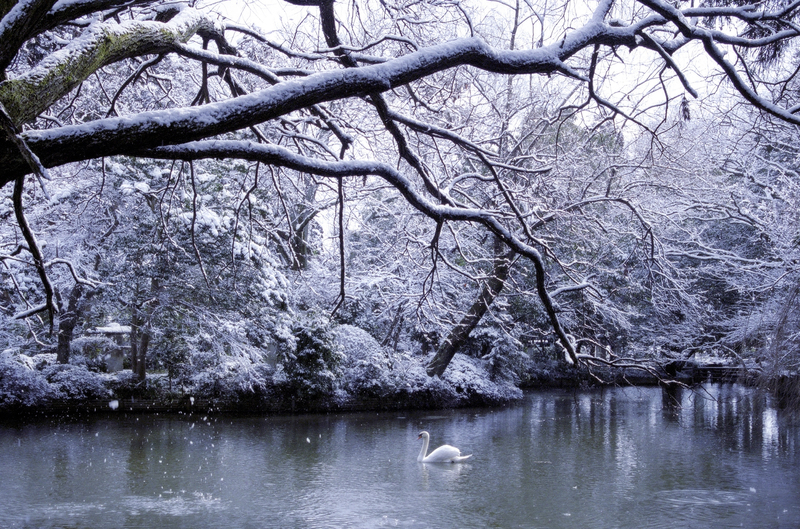 A wintering population of trumpeter swans descends on Magness Lake every November. It is a scientific mystery why more than 100 of these birds flock to Heber Springs from their mid-western homes, but their arrival makes for an exciting birding experience. To view the swans, drive east on Hwy 110 from its intersection with Hwy 5 and Hwy 25 just east of Heber Springs. Go 3.9 miles from the intersection, turn left on paved Hays Road; the road sign is very small. Magness Lake is about a half-mile down Hays Road.